Spare spring for Minimax fitness trampoline. Quality springs treated against corrosion for better dynamics. Your mini-trampoline is your best ally for your fun workout? Used indoors or outdoors for your weekly workout sessions, when used regularly several springs may get damaged or broken. 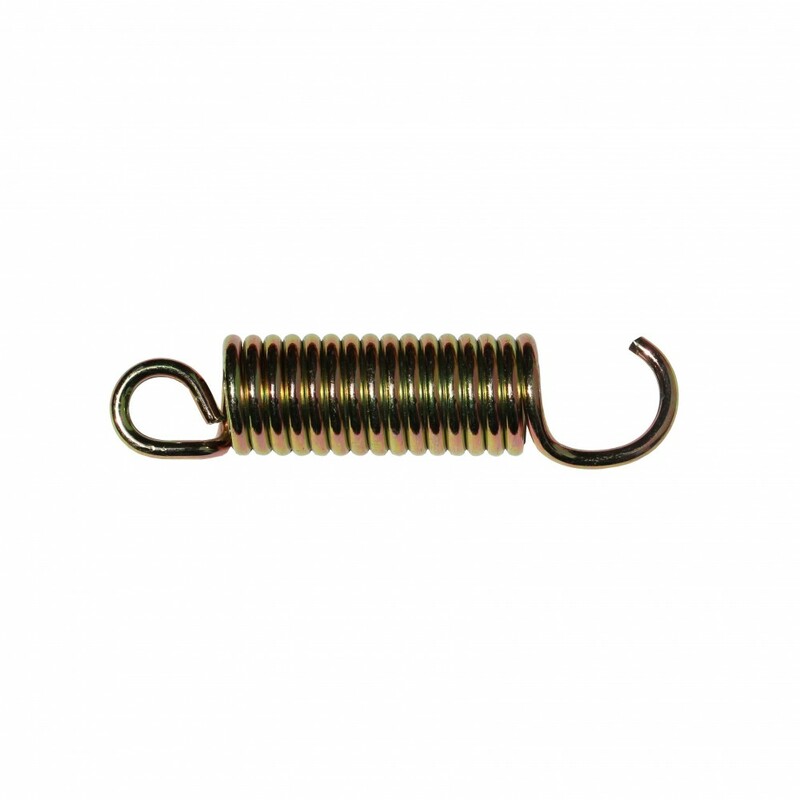 - France Trampoline provides this 88 mm long replacement spring (including hooks) to give back full dynamics to your mini fitness trampoline. - This spring is compatible with our Minimax model and any other midel equipped with 88 mm long springs. - This replacement spring has been made out of rust proof steel so that you can use your mini trampoline outdoors. - Thus replacment spring has 2 types of hook: One hook is closed to provide a perfect hold on the jumping mat and the second hook is open for easy fixation onto the trampoline framework.